A moment with Michael Tobin of BEAR NECESSITIES! I have been a fan of PortFringe since its inception but unable to participate due to my summer performance schedule… this year, everything fell into place- including eventual selection to participate. Spending time among the BEAR (gay) community for several years and hearing a common theme of relationship conflict- between the couple, their families, their friends and, ultimately themselves. 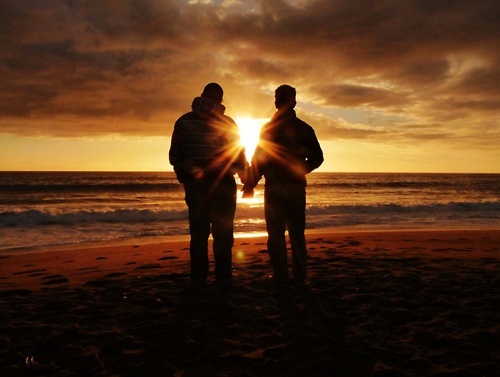 With the current political climate and the constant changes among the gay community (as a whole and as individuals), the trickle effect has been both positive and negative among gay couples. This play presents love, conflict, humor and tears, as we try to survive life and its effect on one’s heart. How would you describe your show. A love story between two men… told backwards. One straight. One gay. Exit the best friend. Exit the girlfriend. Exit the ex boyfriend. Exit the mother. And you are left with the BEAR Necessities. Love. Conflict. Laughter. Tears. And a beginning- which is actually the end -that will shock you. Sisters, Strangers, Lovers & Friends: Four Plays By Jody McColman… one great playwright- 2 talented actresses- this should be a masterclass in writing and acting. SEE BEAR NECESSITIES AT PORTFRINGE 2018!